This article is sponsored by American Express. Please remember to Shop Small this holiday season. Celebrity hairstylist Benjamin Mohapi was born in a seaside town in Wales and made his way to London to begin his career at an early age. 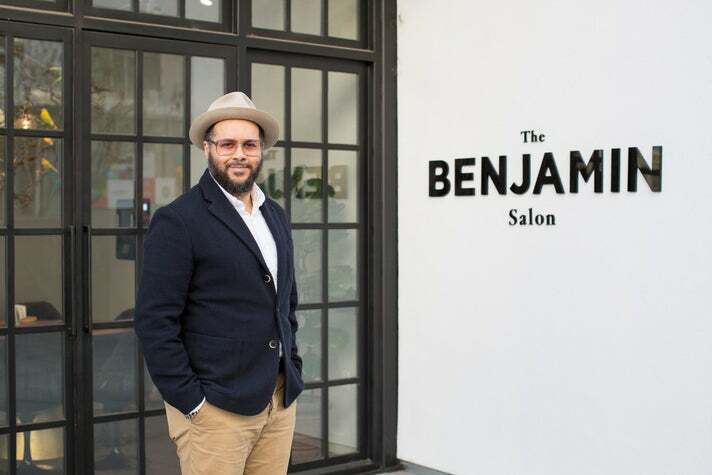 Now recognized as one of L.A.'s premier talents in the industry, Mohapi celebrates his salon’s second location, Benjamin Arts District at One Santa Fe. "L.A. is the Most Exciting City Right Now"
On any given day, the soft spoken Mohapi is crisply dressed, wearing his signature fedora, adorned with old school Basquiat tattoos that snake up his arms. The music playing in the salon reflects his tastes, which range from classic punk rock and new wave, to indie pop and Mozart. He is as interested as he is interesting, perhaps representing the eclectic diversity that has become L.A.’s trademark. 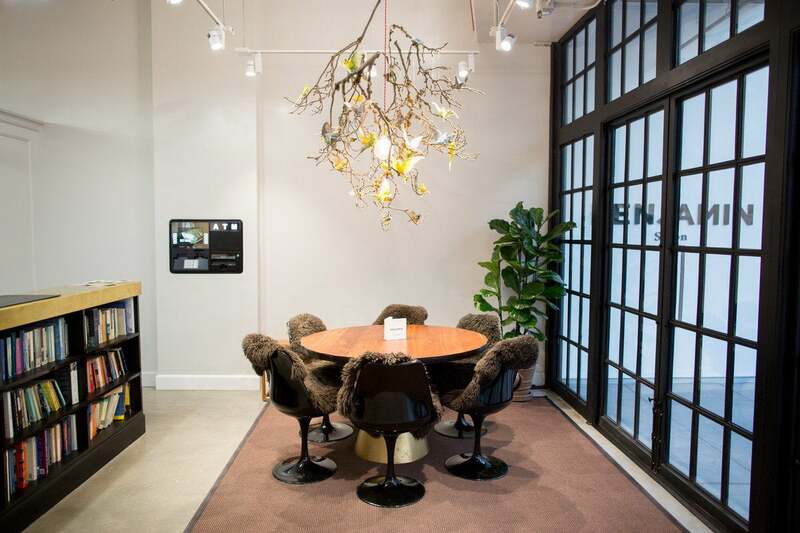 Mohapi’s Arts District salon first found its niche as a creative melting pot in 2012, at Benjamin with Negin Zand in West Hollywood. 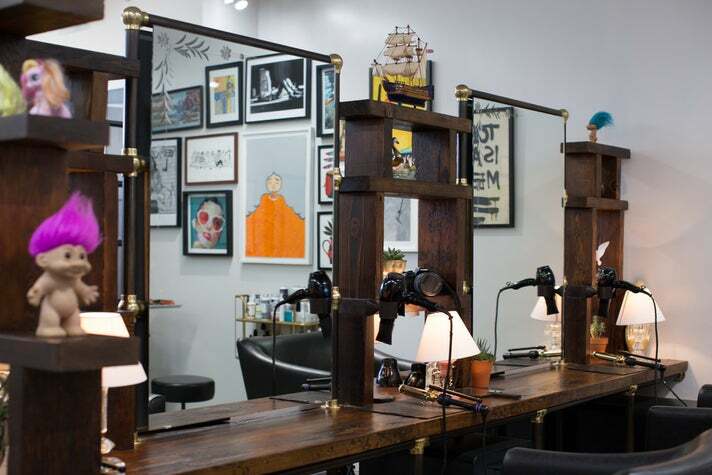 The culture of the salon has a cool, yet comforting vibe, outwardly friendly and without drama. There, the well groomed, “creative first” credo was established, even hosting art history lessons for its team. Recently the salon began publishing its own biannual fanzine, packed with art and articles contributed by the stylists and even a few clients. Consequently, first impressions of the Arts District outpost are deceptive. 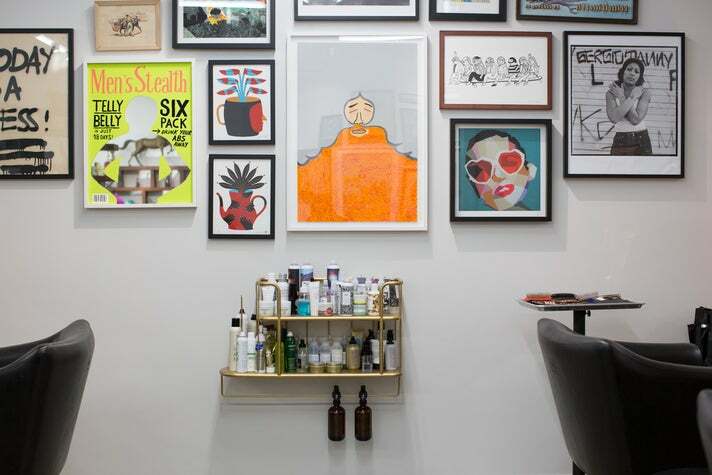 The clean, well-appointed space looks like a contemporary gallery supporting mid-career and upcoming names in the art world - yet, it is indeed one of L.A.'s premier hair salons. 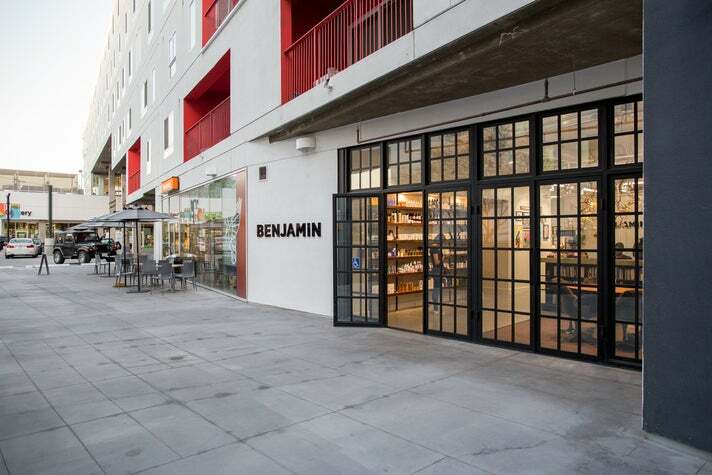 Yes, everything here is carefully curated and art on the walls is for sale, which will suit Benjamin’s new neighborhood perfectly alongside iconic gallery Hauser Wirth & Schimmel, the inventive hand made goods at Poketo, and the stylish Apolis at One Santa Fe. "The Best Thing I've Ever Done"
American Express® Card Members can earn BIG rewards from now through Dec. 31, 2016. Find out how you could earn 2X rewards when you Shop Small with an enrolled American Express® Card this holiday season. Prepaid and Corporate Cards, American Express Cards issued by other financial institutions, The Plum Card® and certain other Cards are not eligible. Reward cap and other terms apply. Learn more and enroll in this offer at americanexpress.com/shopsmalloffer. With the addition of more than 90,000 Los Angeles-area locations to the American Express network over the past two years*, Card Members now have more places than ever before to Shop Small in Los Angeles. *Based on internal comparison of American Express small merchant locations in December 2013 to American Express small merchant locations in December 2015.